With the rapid growth and development of human society in many aspects, yoga has been one of the integral elements of day to day life. Beyond the boundary of yoga mat, it has been serving and securing the health, psychology and overall enhancement of a person. Considering the very fact that yoga is not only the physical movement conducted in the mat, it also has profound influence in our life in entire aspects, the idea of yoga coaching has been an innovative and exclusive program which is intended to empower a person in every sense offering the ways of balancing and beautifying the body, mind and soul. When the equilibrium of body, mind and soul is accomplished or experienced through the practice of yoga coaching, insinuates the fact that yoga has worked outside the mat addressing the overall facets of life. In spite of its invention of incomparable technology and discovery of unimaginable matter, human being has been facing various issues ranging from physical, social, to psychological ones. Highly advanced system of medicine and treatment has been developed in the word. Still the treatment is not healing the rooted cause of the issue. Because of unavailability of its treatment in modern science, human being walked in the quest of solution. Eventually, the genre which would be a comprehensive subject answering many unsolved queries and puzzles appeared as yoga profoundly practiced in Hindu philosophy as one of the six major schools of philosophies. That very subject yoga, which is based on scientific and systematic ground, has now been the way out of numerous issues of human being. Even though the yoga is ultimately intended for the enlightenment in life, its application has been found in the welfare and control of various aspects of human life. With its remarkable impact on human life in every form, in modern times, it has also been adopted as a resilient medium for Life Coaching / yoga coaching. It has been the weapon which cuts the unnecessary issues of one’s life leading one to pursue the goal of life, which should not necessarily be the spiritual one to attain liberation. Instead, it may be the goal of making one life peaceful and joyful with all the positivity and prosperity in all aspects. In this manner, yoga coaching has been the subject of study for Life Coaching. Yoga helps to achieve your goal making your mind poised and focused, body healthy and stout, the soul allowing to connect to its originality i.e. blissful entity of the existence. 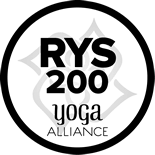 With this sincere aspiration, Nepal Yoga Home , Yoga Alliance International USA and India certified organization, has strived to offer you an exclusive and groundbreaking program of yoga coaching in Nepal. Why One Needs Yoga Coaching or life coaching? Since everyone seems to be trying to balance and harmonize one’s life in every aspect, yoga coaching can be the best capsule to take. Yoga Coaching relates the nuances and philosophy of yoga into our daily life not only limited to a practitioner but also it aims to help a practitioner embrace others by being a Yoga coach. In broad sense, Yoga coaching or Yoga Life Coaching is the subject which deals with the life. In this regard, it’s Yoga Coaching. Everybody needs instruction for the issue they don’t know. The instruction and inspiration of someone is required to achieve a goal to attain. In the same manner, to make the whole life wonderful and pleasant in every aspect, Yoga Coaching has been considered as one of the best answers of many challenges. Life is full of interesting challenges when they are perceived with the determined thoughts and open mind which has been expected to augment through the learning of Yoga Coaching or yoga life coaching Course. The yogic scriptures mention that the main root of misery is mind. Most of the sorrows and disappointments are brought by the drama and illusions of the mind. Except with some exceptional beings in the world, most of the minds are being controlled by the external affairs and issues throughout the life. During the process of engagement in complexities of life, we need to deal with various situations which rumble us to cope with different factors. In such situations, the ability to control the mind is highly mandatory if one wants to experience peaceful and serene life. To work on mental balance and control, it’s always important first to balance the body or physical aspect according to some yogic philosophy especially hatha yoga. The practice of yoga in life seems to be one of the indispensable parts of life to keep the situation in check and balance as the human minds seem to be craving more and more. With the very reason and hope to heal the wound and upsets created by the human mind, Yoga Coaching or Yoga Life Coaching Course has been evolved as a complete solution based on the core strength of yoga. Yoga Coaching Course thus contains the subjects of career expansion, personal life change, blissful state and quietude of mind. In addition to the personal development, Yoga Coaching intends to enhance and enrich one’s professional life. As Yoga is not confined as the matter which is bound to the mat, in the same way, life should not be counted on its external growth. As the world has been seeing its ultra-progress in the technology and infrastructure, yet the inner tranquility and ecstasy has been lost in the vast fog of the so called modern world. Indeed, the equilibrium between external and internal aspects of life is the greater value of yoga. Having said that, adopting and approving the central principle of yoga i.e. the state of equanimity, Yoga Coaching Course has been crafted for all the vibrant and energetic souls from all around the world. Should we beautify our inner value and velocity, the inner stamina of life, the external outfit or physical factor gets its best result always and ever. It may not sound equivocal when yoga is placed on the stage where everything remains at its real nature. The nature which always encircles and empowers the existence of human being and inspires everyone to follow that real self through the practice of Yoga. To put it unambiguously, the vast and cosmic criteria of yoga can’t be narrowed only in the physically tiny parameter of a mat. The journey started from limitation of a mat needs to be regulated to the limitless majesty of our real self which always prefers to live in a state of poise. However, it may have been roaming and wandering on the puzzle and perjury of life. Therefore, the Yoga Life Coaching Course in many ways can be the milestone of your life taking you to realize your inner authority and ability, the equipoise of the mind and body travelling into the level of soul. As a whole, Yoga Life Coaching Course can be the best choice for healing the heaviness of your body to the havoc of the mind leading us to realize the blissful state of soul. Furthermore, to see the world as an experience and trying to poise the life with the upheaval that come on our way, Yoga Life Coaching Course can be the decisive step forward. How Life Coaching is Similar to Yoga? Life Coaching stands itself as an independent branch of study as well as a career. It basically concentrates to help in taking one to the desired state in life. With the certain procedure, a goal is expected to achieve by the help of coaching. Life coaching cares for the achievement of one’s goal in life. Yoga, when combined with Life Coaching it becomes a giant and powerful weapon to materialize and conceptualize any goal of life. Yoga is a way which opens the door for every life coaching which are intended with positive thought and great heart. By the practice of Yoga, one can achieve millions of jewelry hidden in the treasury of human mind and life. Yoga always inspires one to achieve the ultimate goal of life that is the enlightenment as Life Coaching leads one to achieve grand goal of life through certain psychological and mind activities incorporating it with the physical action. Because of its characteristic of taking one to the level where one wants to be, Life Coaching resembles Yoga as it also is targeted to lead one to the ultimate level of life where only exists the reality and oneness. Even though Life Coaching may aspires to achieve some material goals of life, yoga is no difference than a life coaching as it aims to attain the supreme goal of life, the ultimate search of a human being. Following the prime goal of yoga, the enlightenment, it seems to be very ambitious goal to pursue. However, the goal has been realized by some distinguished soul. We all are in search of attaining that supreme goal. In the process of attaining that goal, life experiences various karmas. To purify and pacify all these karmas, different schools of yoga have been practiced. 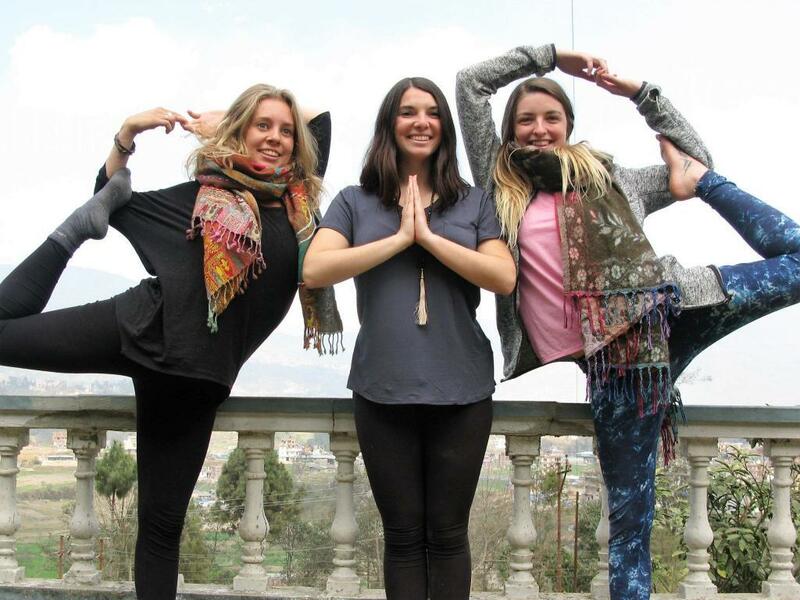 Pursuing the pure goal of yoga, Nepal Yoga Home has been conducting various life-changing and life-touching programs. Adding the recipe of spiritual dishes, Nepal Yoga Home has come up with innovative and exclusive programs of Yoga Life Coaching which comprises amazing and spiritually-inspired courses like 100 Hours Yoga Teacher Training Course for 10 Days intending to the beginners for the fundamental understanding and its significance in life. The curriculum of this course has been designed to share and provide the prerequisites of yoga and its value in life. It can be the best choice of the aspirants who want to understand and swim in the huge pond of yoga. Before swimming in the massive Ocean, one is expected to learn the swimming in comparatively small and less-forceful pond. In the same way, before flapping the arms in the tide of advanced yoga practice, one is advised to delve into the water of a brook. With the expectation that one possess fundamental insights on yoga, one is taken first to a brook and slowly to the big pond with the hope that one will be capable of swimming in the ocean. The 200 Hours Yoga Teacher Training Course has been prepared for 21 Days from basic to advanced level course of study. The most intensive course appears as 300 Hours Yoga Teacher Training Course for 28 Days to advanced students which particularly prominences advanced level of course directing on advanced yogic practices. It is the course offered to the students who have completed 200 Hours Yoga Teacher Training Course. As a complete package from the base to the top, 500 Hours Yoga Teacher Training Course for 28 Days comprises from basic to advanced level study which can be optimum for the aspirants who are searching a whole package in a course. In other words, it is for those people who want to see the mountains climbing it all the way from the base to the peak of it. Besides, the 21 Days Yoga Retreat for relaxation and spiritual yoga meditation has been marked as a design for those who prefer chillaxing and enjoyable yogic environment letting go off all the hurdles and haste of life. Furthermore, the longer duration of Yoga retreat for enhancing and stabilizing your body and mind, the 28 Days Yoga Retreat has been served for the ecstatic experience of blissful soul and peaceful mind.